Set Beneath the shade of the ancient Ebony and Leadwood trees, the tranquil haven of Dulini is enigmatically embraced by its rich, riverine settings. The lodge sits on the banks of the Mabrak River where you will find peace and tranquility, listening to the various birdlife. The main lodge resplendent with deep couches and contemporary African accents spills onto the cool veranda, with magnificent views of the wilderness. 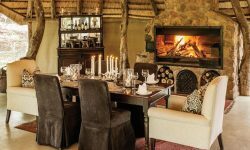 The Lodge consists of 6 spacious air conditioned stone thatched cottages making it a small intimate lodge within Sabi Sands Game Reserve. The suites are elegantly furnished and have plunge pools on the shady decks. The rooms are also furnished with a fire place for those cool evenings. The guest areas are spacious where guests are made to feel close to nature. 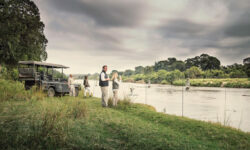 The lodge offers game drives with professional guides and trackers. Maximum 6 people per vehicle. 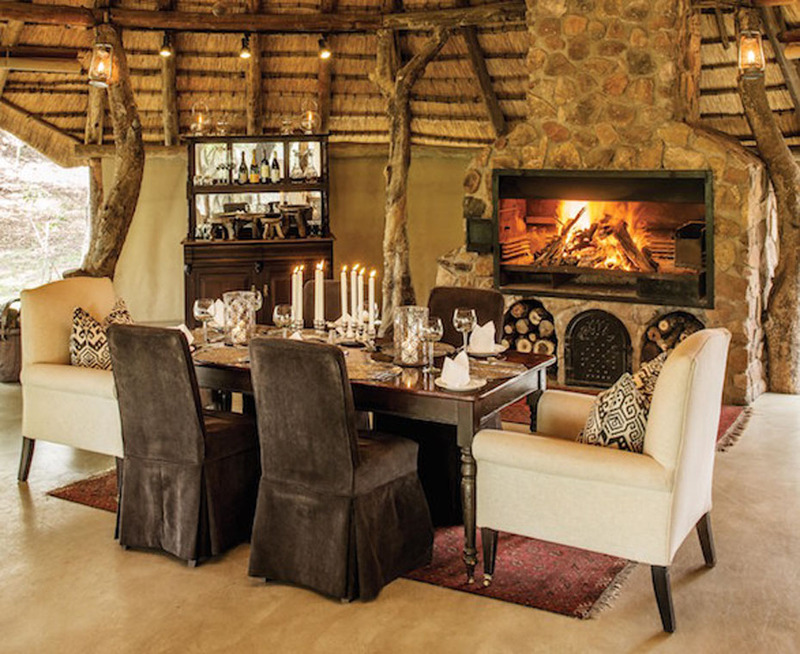 Other facilities offered at the lodge areout door dining deck and a boma for dinners under the stars, a well stocked wine cellar, curio shop, gym and massage facilities. Children are welcome however under 6 years are not allowed to be on game drives for safety reasons. The lodge can arrange baby sitting.